Green. This is the color of balance and harmony. It is a good color for equestrians. 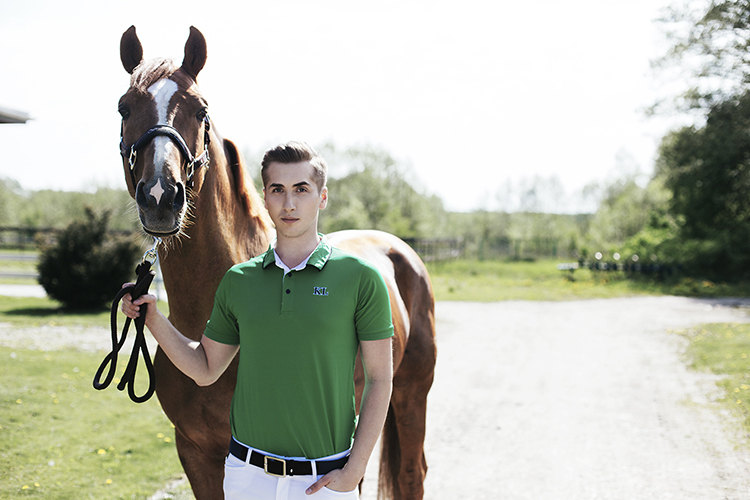 Men’s polo shirt with stand-up collar in contrasting colour is a good idea for white breeches.